Naples, Florida, bartender Antonio Commisso took 15 years to complete his first novel and get it into print. Between working with six different editors, years spent doing copious rewrites and even more years shopping the book around to potential publishers, Commisso’s Silent Partner is more than just a book; the finished product represents an entire chapter of the author's life. 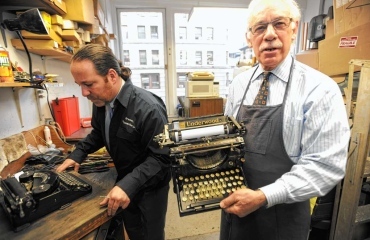 Paul Schweitzer, 73, and his son Jason had their Gramercy Typewriter Company, founded by Paul’s father Abraham in 1932, make the New York Daily News. 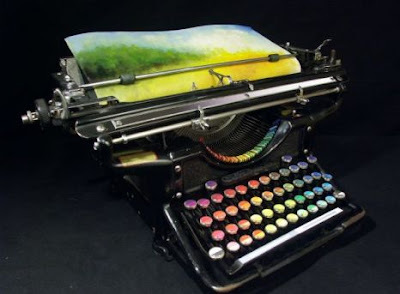 Tyree Callahan, of Bellingham, Washington, invented a typewriter that can create pictures by swapping the ink on the keys for oil paint. 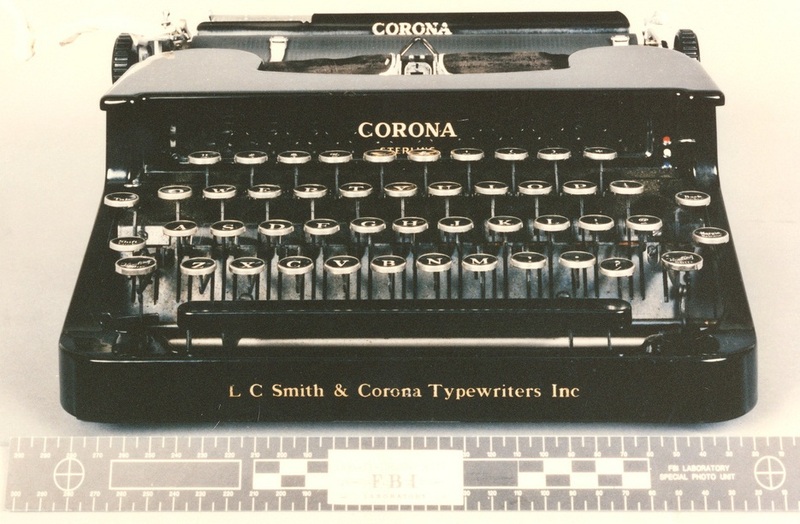 The artist got the idea for his “chromatic typewriter” after experimenting with another machine as he struggled with a watercolour in his studio. “I have an old Olivetti typewriter lying around and I thought to add some text to the watercolour,” he said. “I rolled the watercolour into the carriage and started typing and that’s when the inspiration struck. I knew that an older typewriter would be ideal for the project.” Callahan chose a 1937 Underwood Standard typewriter to create his prototype. 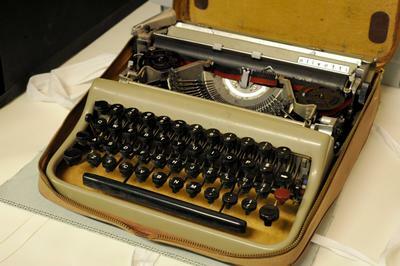 The Olivetti Lettera 22 that Australian playwright Ray Lawler used in the 1950s to write Summer of the Seventeenth Doll, from the Victorian Performing Arts Gallery's collection, was on display at the Arts Centre, Melbourne. A Blickensderfer in storage at the waste-to-energy plant in Harrisburg, Pennsylvania. Harrisburg, Pennsylvania's capital, planned to auction off more than 8000 relics ranging from rifles to wooden wagons that were meant to be part of a Wild West museum in the bankrupt city. 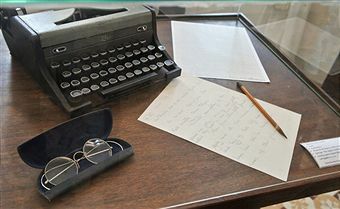 Dr Jack Kevorkian's Signature typewriter was one of the items on display during a media preview for the sale of Kevorkian's estate, to be held at the New York Institute of Technology. A portion will go to the charity Kicking Cancer for Kids. 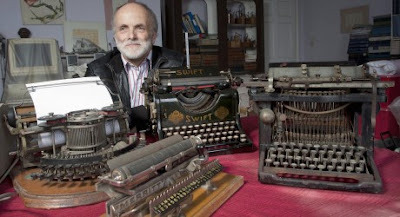 Duncan James, 66, has amassed an astonishing 250 typewriters over 35 years of collecting, and he keeps every single one in a room in his house on the Welsh Border. The collection stretches through 150-years of history and every single one is still in good working order. 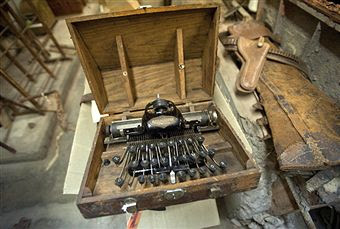 Duncan began collecting the typewriters when he found one that had been abandoned by an antique dealer. “I just thought it was ingenious,” said grandfather-of-two Duncan. “I’m fascinated by engineering, the technology inside typewriters is fascinating. I love the fact that they provide this link between the written and printed word. I also love the intricacy that connects the two. There’s something more authoritative about something typed up on a typewriter. I think my favourite of the lot is made by Salter, who are famous for making weighing scales. It’s beautiful, but it used some rather obsolete technology even back then." Millions of virtual monkeys have almost typed out the entire works of Shakespeare by bashing random keys on simulated typewriters. The virtual monkeys, created by an American programmer, have already typed up the whole of the poem A Lover's Complaint and are 99.99 per cent of the way through the Bard's complete works. The experiment attempts to prove the theory that an infinite number of monkeys sitting at an infinite number of typewriters would eventually reproduce the works of Shakespeare by chance. 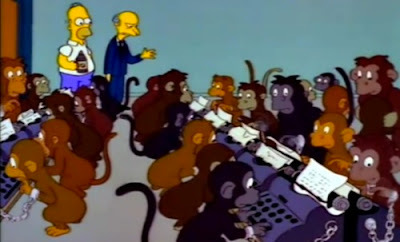 Jesse Anderson, the programmer behind the project, said he was inspired by an episode of The Simpsons which spoofs the famous problem. Mr Anderson set up millions of small computer programmes, or virtual monkeys, using Amazon's SC2 cloud computing system, and programmed them to churn out random sequences of nine characters. 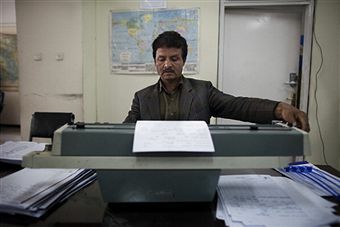 A postal worker at the Central Post Office in Kabul, Afghanistan. The Afghanistan Postal Service is one of the few government services to have continuously operated through the past 30 years of the country's turbulent history, including the Soviet invasion, the civil war, the Taliban era and subsequent US invasion. The Wende Museum in Culver City, California, collects and preserves the "cultural artifacts and personal histories of Cold War-era Eastern Europe and the Soviet Union to inform and inspire a broad understanding of the period and its enduring legacy." The name, Wende, in German means "turning point," and refers to the fall of the communist East German state in 1989, and more broadly covers the fall of communism in the former Soviet Union and Eastern Europe. Founded and directed by Justinian (Justin) Jampol, the museum focuses considerable attention to the German Democratic Republic (GDR). 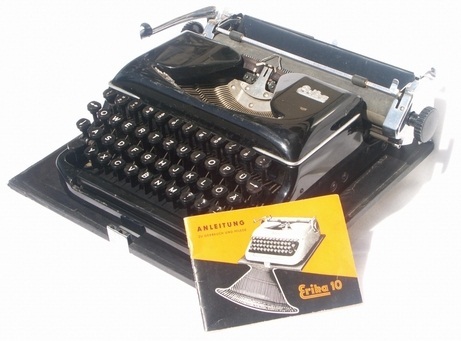 Nearly 75 per cent of the objects in the collection originate from the GDR (such as this Erika typewriter), documenting its interactions with the non-communist West and the divided city of Berlin. In the corner of a room where Canberra modeller Peter Mahoney displays hundreds of his models - of gleaming, immaculate aeroplanes and flying boats and helicopters - sits his wife's white Royal typewriter. Kim Mahoney bought it second-hand when she was at secretary school and needed something to practise on. After his wife died from breast cancer in 2004, Peter didn't have the heart to remove the typewriter. His wife loved writing short stories. "Wouldn't matter whether it was summer or winter, she'd be typing on the typewriter and I'd be sitting at my workbench mucking around on the models," he says. In Armonk, New York, Linda Sanford, Senior Vice-President at IBM, left, and Kathya Dunn-Moodie, Officer-in-Charge of the US Post Office in Armonk, where IBM is headquartered, celebrated the 50th birthday of the IBM Selectric typewriter. A new postage stamp honouring the Selectric as an icon of design was released. Sanford worked as a development engineer on the Selectric. 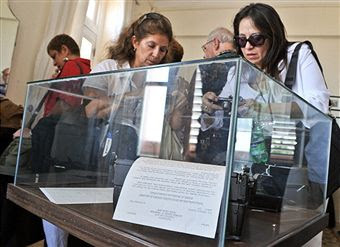 Tourists take pictures of the Royal Quiet De Luxe typewriter used by Ernest Hemingway in 1939, at the Hotel Ambos Mundos in Havana. A daiquiri at the Floridita, a mojito at the Bodeguita del Medio and an afternoon at Finca Vigia was the obligatory ritual for enthusiasts arriving in Cuba to honour the 50th anniversary of Hemingway's death. 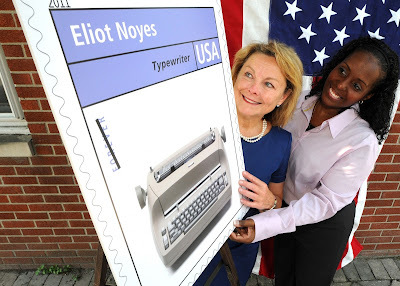 Typospherians around the globe celebrated the anniversary of Christopher Latham Sholes receiving his first typewriter patent with the world's first International Type-In. 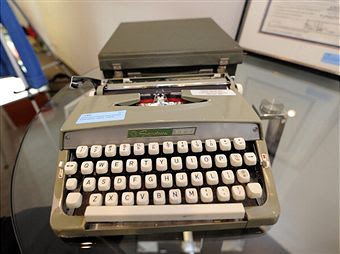 The Unabomber's Smith Corona typewriter sold at auction for $22,003. 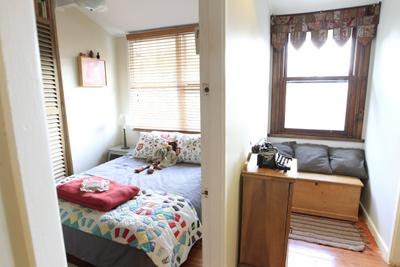 It seemed putting an old typewriter like a Corona 3 in an upstairs bedroom and nook added to the home's attraction. Or so Melbourne real estate agents figured, anyway. Birmingham, Alabama: History at the Alabama Typewriter Company is etched in the form of metal As, Ms and Zs. Dozens of typewriters - with at least one more than a century old - sit and wait for their next story to be told. Even if they enter the shop at 2203 Sixth Avenue South weary and worn, they leave - after being mended by Billy Hagood and his staff - alive and ready to tell stories again. 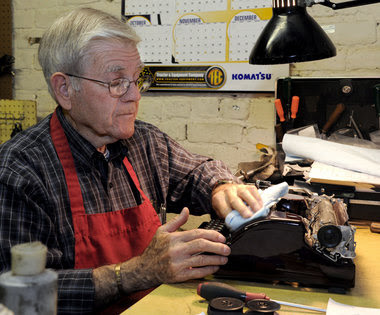 "There's something nostalgic about a manual, portable typewriter," said Hagood, the owner of Alabama Typewriter. The 75-year-old Korean War veteran has been repairing typewriters and other machines since 1954, when he served at Clark Air Base in the Philippines. 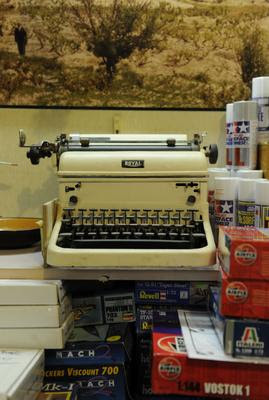 Hagood said his company now sells on average two typewriters a week and repairs about a half-dozen, sent in from across the South. "A writer that's worth his salt will type on a manual typewriter," he said. A blur of fingers thrum the keyboard assertively, avoiding mistakes, a symphony of taps and clacks until — ding! — the line is finished and a hand pushes the carriage return to start a new line. This is the noisy chorus of once-forgotten manual typewriters, now recovered and refurbished by an ASU alumnus and his classroom full of 10th and 11th graders at Alhambra High School in central Phoenix. Ryan Adney, who graduated in 2004 with a degree in secondary education and now teaches English, started to incorporate typewriters in his class last year when his students showed interest in the 1952 Royal HH typewriter on his desk. Adney said he found his first typewriter in the school library last year, checked it out of the library, experimented with it and fell in love with writing on a typewriter. 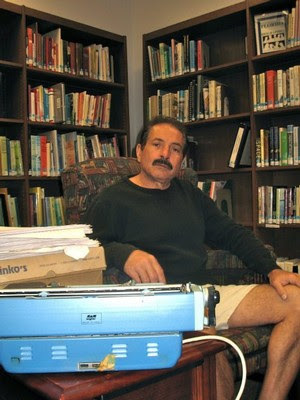 He said he enjoys typewriters because they are a great “focus tool,” and unlike a computer, they do not offer distractions like email and Facebook. “It’s kind of like saying, ‘In your face, Microsoft!’” Richard Polt, 46, a typewriter collector in Cincinnati, told The New York Times for its article about the way manual typewriters have been attracting fresh converts, "many too young to be nostalgic for spooled ribbons, ink-smudged fingers and corrective fluid". The Times said the subculture of revivalists included Donna Brady, 35, and Brandi Kowalski, 33, of Brady & Kowalski Writing Machines, who sell typewriters of a Saturday afternoon at the Brooklyn Flea, a market for crafts and antiques. 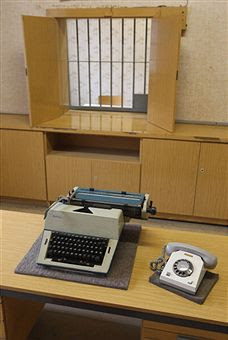 A typewriter and phone sit on a table in a room used for issuing arrest warrants at the former prison of the East German Ministry of State Security, also known as the Stasi, at Berlin-Hohenschoenhausen. Former journalist and East German human rights activist Roland Jahn was scheduled to be appointed the new Federal Commissioner of the BStU, the federal archive of the Stasi. The archive contains hundreds of thousands of records on former East German. 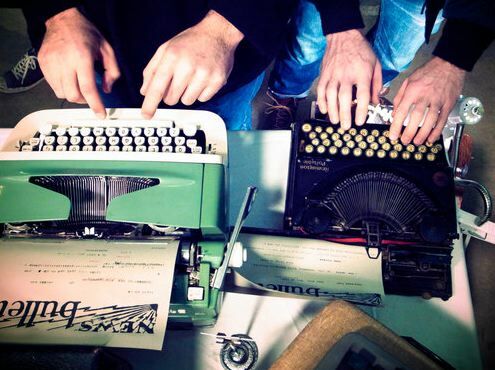 Sticky Institute zine makers staged the four-day I Am Typewriter Festival in Melbourne. Many hundreds attended and helped celebrate the ongoing usefulness of the typewriter. 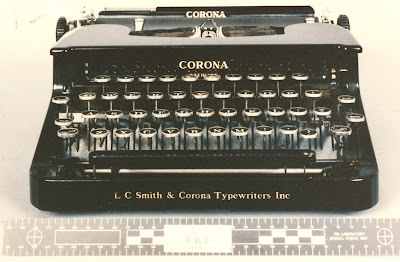 Despite that very silly “world’s last typewriter factory closes” brouhaha, typewriters were still in demand in Mumbai. A professional typist prepares a document for a client on a sidewalk outside a city court. The unmistakeable clatter of typewriter keys and sound of tinny margin bells can still be heard, echoing down the vaulted corridors of the courts and lawyers' chambers to police stations and government offices across the city. Great year end review of 2011! Thank you for all your fine posts. Have a very Prosperous and Happy New Year! 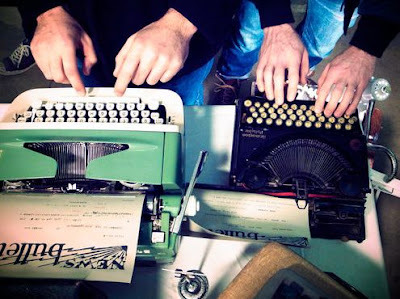 I never knew people had so much love for typewriters! Just wanted to let you know that I used a picture from your blog post on my blog's newest post.